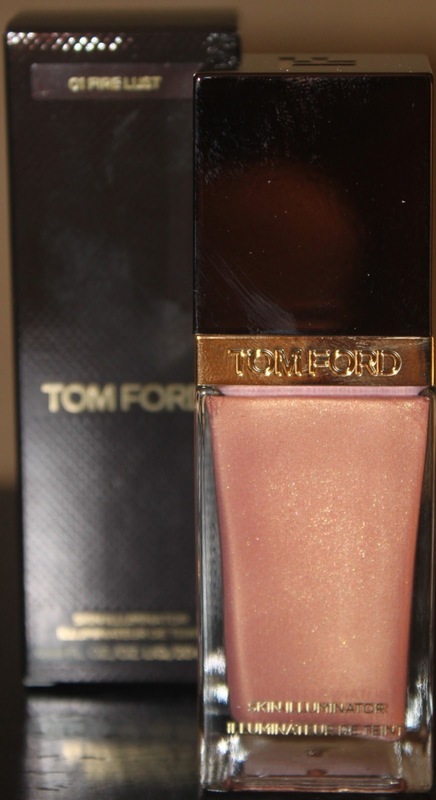 Tom Fords look for summer 2013, is to make you look all posed, basking in the sun with a wind machine and sunkissed skin bathed in a warm honeyed light! Fire Lust in the bottle is all that. A golden peach toned illuminator brings this image to life. Fire Lust is multi dimensional, with micro shimmer shot through it. It is a soft illuminator bringing a very light veil of colour to the skin. It is hard to over apply and is not very buildable so best suited for illuminating the high points of the face. Unlike Armani sheer fluid in 6 which I reviewed here, Fire Lust is not a cheek colour. I have added it to my foundation, and it imparts a subtle effect. I am not sure if this shade is for everyone, with that being said since it is sheer to the extreme, I don’t think you can go to wrong (cool toned girls ??). I do like it , but would love it if it had a bit more colour to it. It is good for both day and night.